Olivia Shaw Acupuncture Limited (“the Company”) is committed to safeguarding the privacy of its website visitors and patients (prospective, past and current). This policy sets out how the Company will treat your personal information and data. Any personal data submitted by you via the Company’s online contact form will be treated in the strictest of confidence. The Company will not sell your data or transfer it externally. The Company will use the data only in the course of providing further information to you, arranging appointments for you and in the course of treating you. The Company will not use your data for any other purpose without your express permission, other than to the extent that it is required to do so by law, or in order to establish, exercise or defend its legal rights. This website contains links to other websites. The Company is not responsible for the privacy policies or practices of third party websites. Cookies are small text files that are placed on your computer by websites that you visit. They are widely used to make websites work more efficiently, as well as to provide information to the operator of the site. Your web browser should allow you to delete any you choose. It also should allow you to prevent or limit their use. These cookies are used to collect information about how visitors use this website and the Company uses the information to compile reports and to help improve the site. The cookies collect information in an anonymous form, including the number of visitors to the site, where visitors have come to the site from and the pages they visited. This website uses Google Analytics to evaluate your use of this website, compile reports on activity, collect demographic data, analyse performance metrics, and collect and evaluate other information relating to our site and internet usage. Your records are stored on our office laptop. The laptop is password protected and patient files are stored on a discrete section of the laptop’s hard drive, which is also password-protected. The hard drive is backed up regularly on an detachable external hard drive. When not in use the laptop and external hard drive are kept in a safe with a digital entry pad secured with a code. Other administrative staff, such as our accountant, but they will not have access to your medical notes. 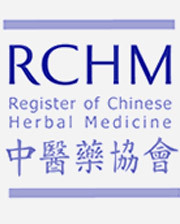 Herbal Medicine Suppliers, but they will not have access to your medical notes, only information such as your name and herbal prescription.